A Syrian Druze leader has been killed in the city of Soueida, the country's Waqf Ministry and its Druze Unitarians' Sect announced. A Syrian Druze leader opposed to President Bashar al-Assad was killed Saturday in the city of Soueida, the Syrian Waqf Ministry and Druze Unitarians' Sect has announced. 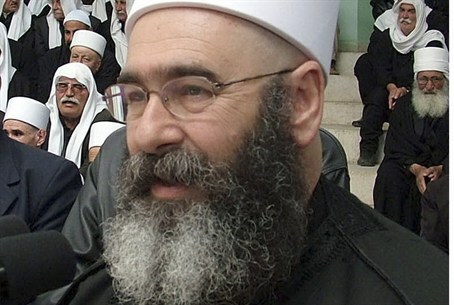 Druze Sheikh Ahmed Sleiman (Salman) Al-Hijri's death was blamed on “a car accident,” according to the statement released by the Syrian government's Syrian News Agency (SANA). The news, announced in a terse statement devoid of details, was also immediately reported by the Lebanese Ministry of Information. One day earlier, Lebanon's Druze leader, Walid Jumblatt, made headlines by announcing his support for Syria's anti-government force. He also called on Russia to find a way to remove Assad and his family from the picture, and allow the Syrian people to settle their destiny in dignity and peace. Assad's troops have been accused by the New York-based Human Right Watch organization of using Syrian civilians as human shields as they advance their war on opposition forces across the nation, now entering its second year. Jumblatt also marked the 35th anniversary of the assassination of his father Kamal Jumblatt Friday. The younger Jumblatt took over his father's leadership during the 1975-1990 Lebanese civil war after his father was shot to death on March 16, 1977.